Tartan Cabaret - Chank Fonts! 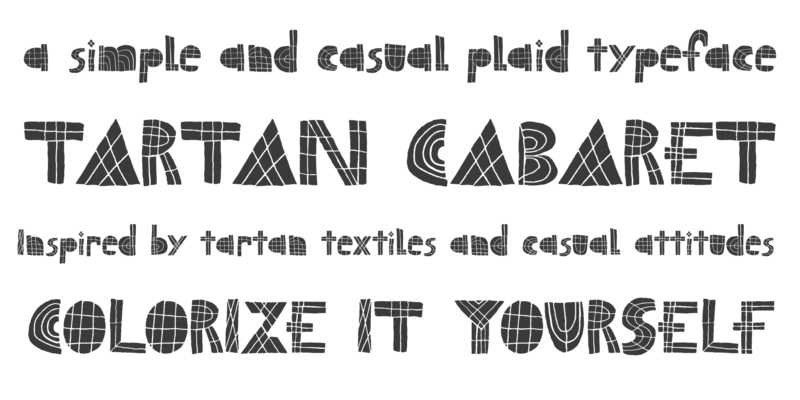 A cappuccino-sippin’ hipster in a Seattle coffeeshop, thinking about plaid and scratching in his sketchbook has just created the new TARTAN CABARET font. Inspired by tartan textiles and casual attitudes, the basic letterforms are naive and simple, but also sincere, pleasant and likeable. The lines wiggle a bit, as if maybe they’re rolling across coarse fabric; the hand-drawn sketchiness of the pencil remains intact. 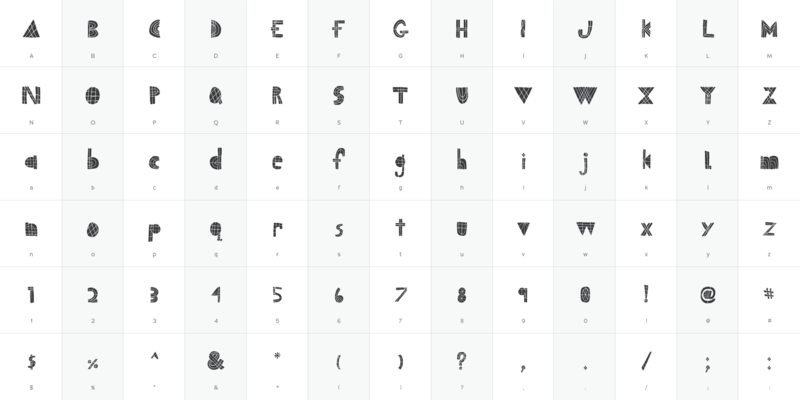 But the true magic of this new font isn’t unleashed until YOU color it in, in the palette of your choosing. Takes just a little bit of work in either Photoshop or Illustrator, but you should be pleased with the results. Works great with a 2-color palette, but you may be interested in 4 colors or more. Go crazy! It’s a cabaret!